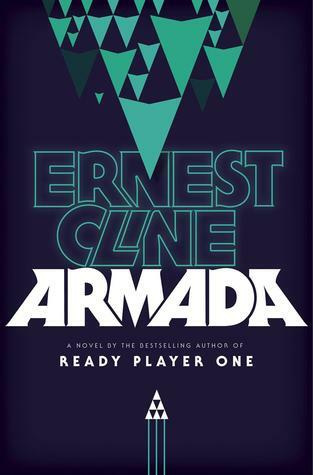 After reading Ready Player One, I was ready to once again immerse myself in a pop-culture vintage gaming world that only the geek-addled mind of Ernest Cline could possibly cook up. Alas, be careful what you wish for is the phrase of the day as I was left feeling bitter, empty and unsatisfied by the end of Armada. What went wrong? Well… everything. First, the pop culture references were just too much. We get it Cline, you know your stuff, but no mother speaks in incessant Star Wars quotes. No mother can out-geek their incredibly geeky teenage son, because a mother has got other life things to worry about, like a job, and keeping the house in check, and just doing mum stuff. You know, real stuff, that somehow Zack’s mother can easily manage in addition to keeping up with the latest pop culture and video gaming trends. But that’s not where it ends. Oh no, apparently every single person in the world is a geek guru, a maestro of pop culture, a wizard of obscure movie references. While Zack spews out pop culture references like some sort of geek machine gun, every person he interacts with not only understands, but responds with the same unashamed gusto and level of knowledge normally reserved for those who are so obsessed with particular fandoms that they tend to neglect everything else, including personal hygiene. Not Zack though, and not his friends, or casual bystanders. Strike one. Second, Zack is introduced as a teenage kid with anger issues stemming from the death of his dad at a young age. A solid, if cliched, basis for a character. Then his anger issues just sort of… never come into play again, except for some off-hand reference to them fueling his mad gaming skills and his headstrong attitude. Cline commits this sin again by introducing a character that you think will kindle a lasting rivalry with Zack, only to never mention them again except as a brief one-liner during the weak climax. Cline does this over and over again, like a malfunctioning Chekov’s Gun that leaves us with nothing but a vague feeling of dissatisfaction. Strike two. Third, everything else in the book is crap. The characters have less depth than a rain puddle. I’ve witnessed greater twists and turns watching paint dry. I’ve felt more sorrow when I stepped on a slug that one time than when particular characters die. I experienced greater satisfaction from a train arriving on time than I did reading the climax and the aftermath. There is nothing in this book that’s redeemable, except maybe Zack’s music playlist that he ceaselessly reminds us of, over and over again. We get it, it’s called Raid the Arcade, it’s your dad’s, you listen to it when you’re gaming, now please for the love of god just shut up. Strike three, four, five, everything. Here’s a geek reference for you, Cline: Alt-F4 this book and try again.